Mark Kaplan is one of the leading violinists of his generation. Kaplan has been soloist with the New York and Los Angeles Philharmonic Orchestras, the Cleveland and Philadelphia Orchestras, the Chicago and National Symphony Orchestras, and the symphony orchestras of St. Louis, Pittsburgh, Baltimore, Minnesota, Cincinnati and Indianapolis. He has collaborated with many of the world's foremost conductors, among them Ormandy, Tennstedt, Maazel, Ashkenazy, Dutoit, Bychkov, Conlon, Ivan Fischer, Foster, Gatti, Masur, Rattle, Robertson, Salonen, Semkov, Skrowaczewski, Slatkin and Zinman Since 2005, Mark Kaplan has been Professor of Violin at Indiana University�s Jacobs School of Music, and prior to that he served as Professor with Distinction at UCLA. He is a graduate of the Juilliard School, where he was a student of Dorothy DeLay and recipient of the Fritz Kreisler Memorial Scholarship. Mark Kaplan plays a violin made by Antonio Stradivari in 1685, known as the Marquis. 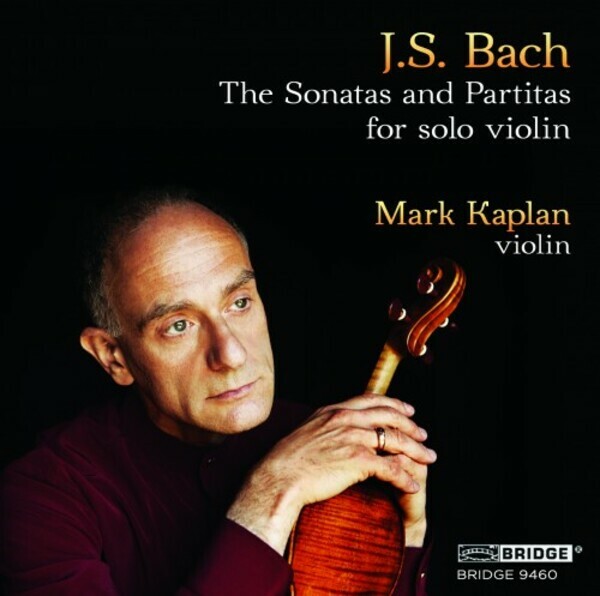 This recording is Kaplan's second studio traversal of the Sonatas and Partitas.